I searched high and low for a Loki helmet and costume and came up empty-handed. 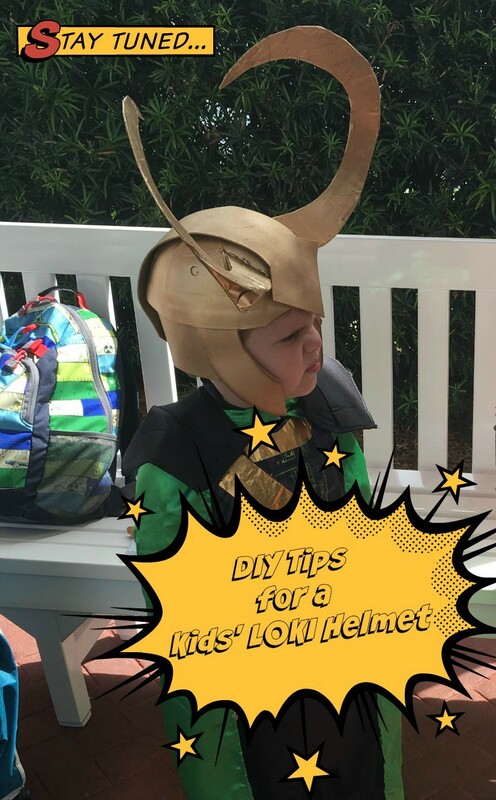 See how I made this DIY Loki helmet and Loki costume for my son. My posts contain affiliate links, which means I may earn money on purchases made. 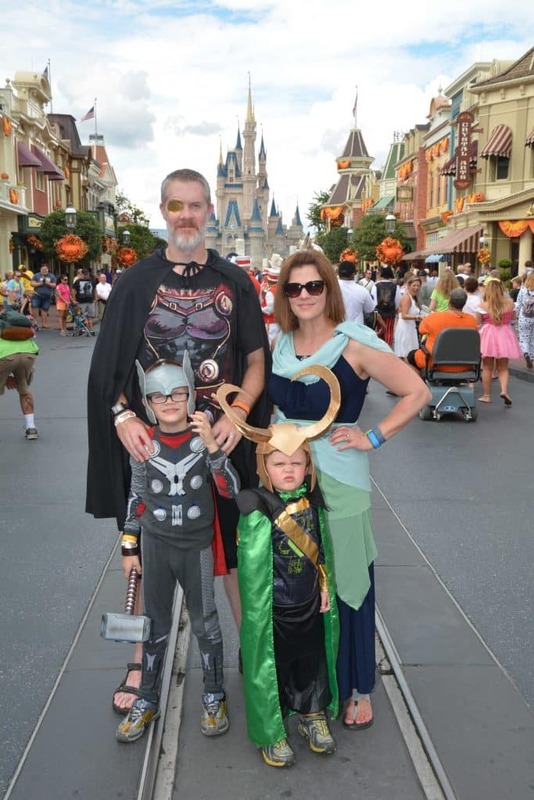 When creating my family’s costumes for Mickey’s Not-So-Scary Halloween Party, I discovered that while the Marvel Universe was very popular, there wasn’t a single Loki costume or Loki helmet for kids to be found. 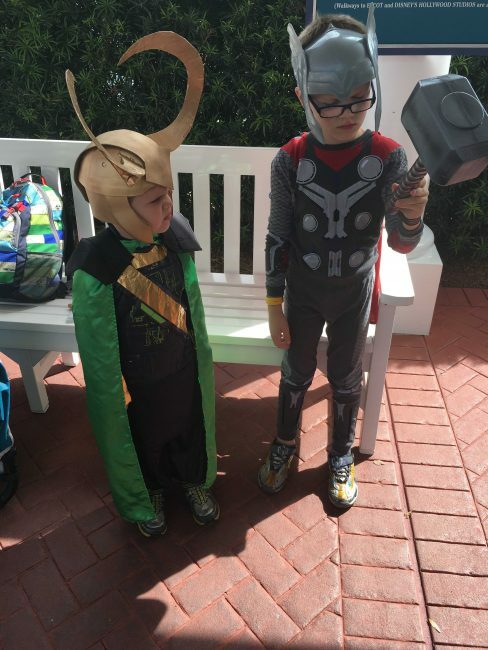 But I couldn’t get the picture of my boys dressed as Thor and Loki out of my head so I knew I had to make it happen. We had so much fun with our Star Wars theme that we decided to switch to another universe and go as Asgard Royalty. Thor and his family were very popular at the time, so I thought it would be as simple as ordering a few costumes. Of course, that would be too easy! I know we don’t have many more years of matching Disney family shirts and costumes ahead of us, so I plan to soak up every photogenic moment. Oscar was all set to be Thor with his outfit. It took me two clicks to buy Thor’s helmet and Mjölnir (hammer). Naturally, Calvin would be Loki and it would be the perfect Marvel family costume. Jerry and I even decided to complete the family tree as Odin and Frigga, Thor’s parents. I found an Odin costume shirt and cape for Jerry, re-purposed a dress for myself and just needed a Loki costume and Loki helmet for kids. But there was no Loki. Everything about Loki comes back to the helmet. I’m no superfan, but I love some Avengers and yes, ok fine, Loki is my favorite villain. I googled Loki helmet, Loki costume, Loki pajamas and just about every other combination one can think of before I finally had to face the fact that I would be making this costume. UPDATE! There is now a LOKI halloween costume on Amazon! Finally. If you’re hoping to skip the DIY route, this may be just the thing you need. I found a ninja costume online that had the right lines, so I bought that and added some gold detail with Duck tape to make our Loki costume. I did the same over the logo on a green cape we already had (Thanks @GoGoSqueeZ!). That part was easy. You should see the Loki costumes in the cosplay community. They are so detailed and incredible. 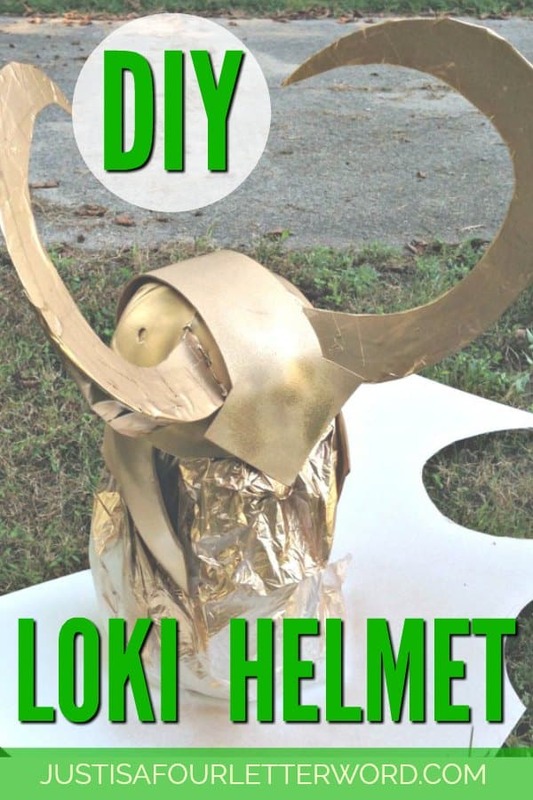 I watched a video of one guy who spent weeks crafting his Loki helmet. And the results were awesome. I wasn’t going for awesome as much as recognizable so I spent about 4 hours and a can of spray paint to get the look right for our Loki helmet. I didn’t know what I was doing so taking photos of my steps was far from my mind. That said, I did take a couple so if you’re into DIY and want to give it a shot, I can at least explain what I did. I started with a foam safari hat from Michaels and cut off the brim. What’s left are a couple of curved pieces that worked perfectly for the sides of the helmet. 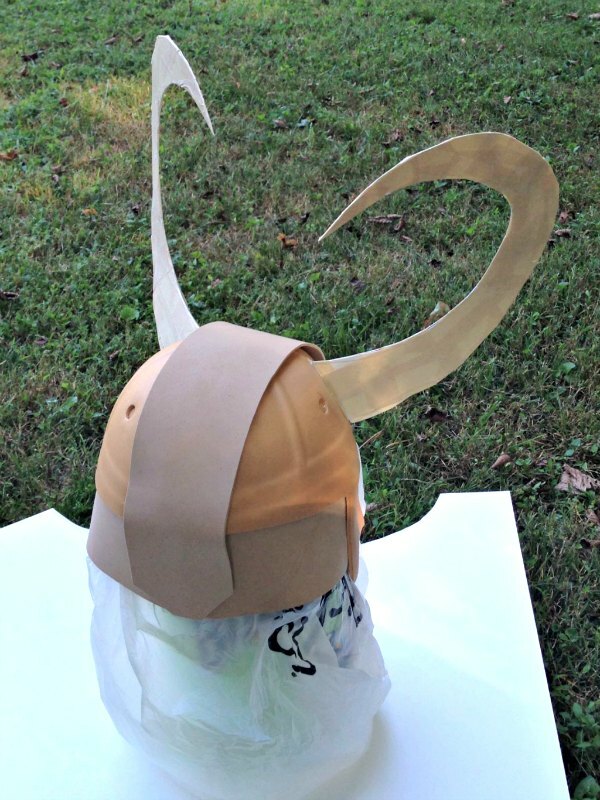 I glued those to the hat with hot glue to make the sides and back of the Loki helmet. The thing that makes the whole costume are the classic Loki horns. This part was a lot of trial and error using poster board and masking tape to get the shape I wanted. I cut out two curved pieces of poster board for each horn and taped them together on one side. Then I stuffed the horns with newspaper and taped the third side. The end result was a 3 dimensional horn and I have to say I’m pretty happy with the results! 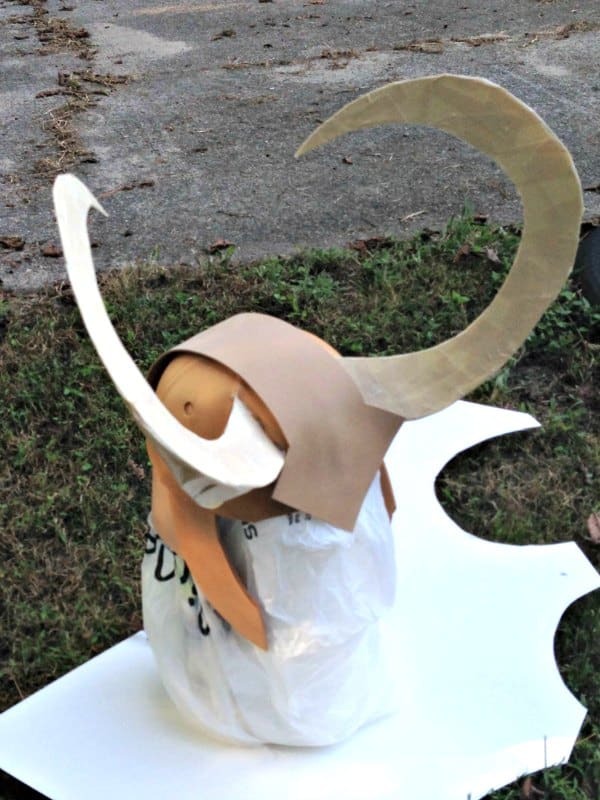 Finally, I created tabs with masking tape and cut small slits through the hat to attach the horns and I ran beads of hot glue all around the edges to secure them. Once the Loki horns were attached, I added another strip of foam to the top of the helmet for some added detail and spray painted the whole thing gold. Just like that, our DIY Loki helmet was done! Here is a side view. Really it’s about playing with the shapes and adding as much glue and tape as you need to get it right. Pretty technical right? I’m not gonna lie, y’all. I am thrilled with how the costume turned out. It was so fun to see people’s eyes light up when they saw the tiniest Loki ever. Calvin loved his costume and even though I had planned to let him take it off if it got cumbersome, but aside from a few breaks he kept it on the entire night. 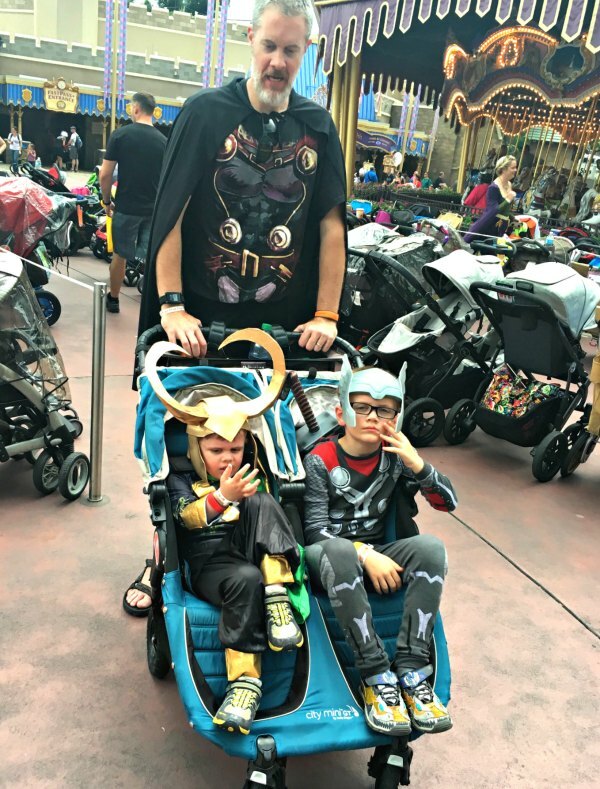 I am glad there is finally a Loki costume available for purchase, but it sure was fun to come up with our own solution! Loki really is the best villain and our DIY Loki helmet was a hit! We are huge fans of Disney Halloween Fun and costumes are just the beginning! Making a halloween costume? How about some Mickey Mouse pumpkin cookies to go along with it? Was this post helpful? Share and save for later. This is soon well done! Love that helmet! I am so impressed! 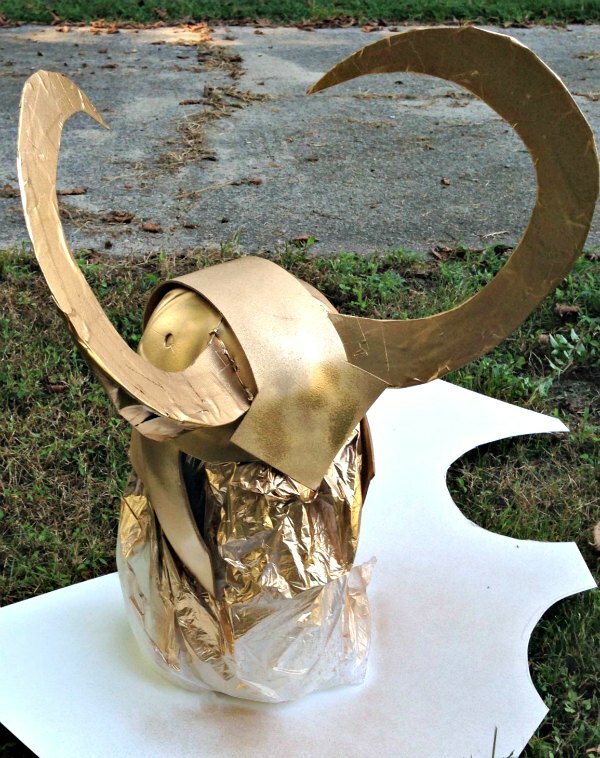 Your Loki helmet turned out amazingly well. 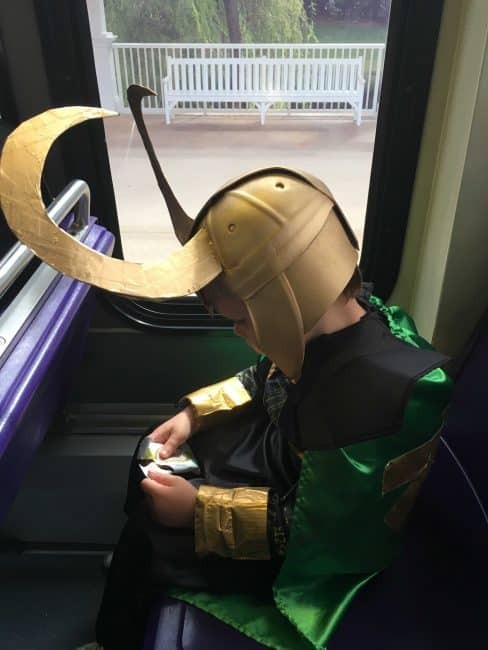 I’m sure your little Loki loved wearing it around Disney World. We’ve done the Halloween event at Disneyland, but this one is still on my bucket list. Thanks so much! I hope you get a chance to try the party. It’s tons of fun! Aww thank you! It was a really fun project. I tried making my own version. Came out so bad. Should follow the instructions from now on.